Unlike other lasers, the FDA approved the Technolas 217z laser specifically for LASIK. 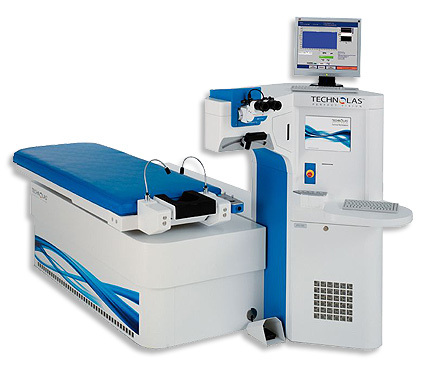 The Technolas 217z laser features flying spot technology for maximum flexibility in personalized treatment profiles. The 2mm flat top beam of light allows Dr. Foulkes to make many small pulses, which are precise to your prescription. Additionally, the Technolas laser has the widest treatment zone possible in LASIK technology today. While other lasers can only treat an area of 6-8 mm, the Technolas 217z can treat an area over 10mm, basically to the white of your eye. The newest advancement to the Technolas is the Advanced Control Eyetracking (ACETM) Technology. This is a dynamic rotational eye tracking system that tracks and simultaneously adjusts the ablation pattern for the entire duration of the treatment, and enables iris recognition for all treatments. All these factors mean unsurpassed outcomes and safety, providing the ultimate peace of mind for both surgeon and patient. 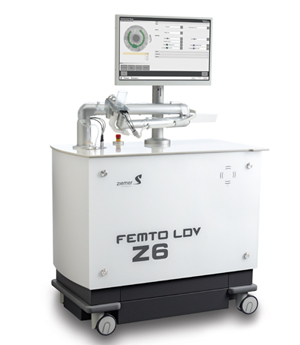 The next generation of femtosecond lasers, Dr. Foulkes helped design the original Ziemer LDV. We started using this technology in 2007 and have since upgraded to the Z6 in 2012. This new Z-LASIK method performs the resection in a three-dimensional mode. Each flap can be customized to accommodate the desired geometry. Based on clinical experience from over 1.5 million successful Z-LASIK procedures, the FEMTO LDV system stands out as the femtosecond laser with a remarkably low complication rate. The FEMTO LDV Z6 paired with the Technolas 217z excimer laser provides the basis for excellent outcomes in laser vision correction. 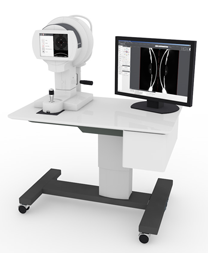 The ZIEMER Galilei G4 Topographer reaches a new level corneal tomography. Foulkes Vision utilizes this device in diagnostic preparation for LASIK eye surgery. Don't worry about eye motion during examination. Small to moderate eye motions can't be prevented. Especially in elderly patients or children, which can lead to clinically relevant and unrealistic surface curvatures if not compensated for. The GALILEI G4 applies an intelligent iris-pattern tracing system to correct for eye motion. Find out how Dr. Foulkes' commitment to embracing the latest technology can benefit your vision and eye health. Call Foulkes Vision at 630-724-1400 or contact us online today. We are pleased to serve patients in and around Lombard, Chicago, and other areas of Illinois.